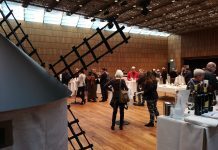 Last October 18th and 20th, 13 wineries from DO La Mancha participated in Grand Tastings in Los Angeles and Dallas, respectively. The attendance from California and Texas was looking forward to taste these wines from the Old World. Since 2006, DO La Mancha has been promoting their wines, though it has been hard to be present in every state in a country of more than 300 million. Some of the importers and distributors attended in Los Angeles were in San Francisco last June. San Francisco area is the biggest wine producer in the United States. Californian consumers love wine and are connoisseurs of the main varieties of grapes, being open-minded to taste new high quality wines, as DO La Mancha. Tempranillo and Airen are new varieties for Californian consumers and because of their curiosity to try new wines; these varieties may have a good opportunity to success in the following years. Tempranillo grape, most popular grape in Spain, is quite well known in the US because of its aromatic characteristics and intense fruit taste in young wines and crianzas. Airen is a grape to be discovered by American consumers and professionals, and most of the attendees during the tastings in Dallas and Los Angeles raised their eyebrows when sommelier Charlie Arturaola said the price of those great wines. The Grand Tasting in Dallas took place October, 20th and was directed to importers, restaurants, gourmet stores and media. Though there were a few less attendees than in Los Angeles, there were more trade opportunities in the second most important State of the USA. After the Grand Tasting, the wineries met some Managers form the most important supermarket chains and liquor stores. They visited Central Market where they tasted the best selling wines in order to know better American consumers. The President and General Manager of DO La Mancha, Gregorio Martín Zarco and Lorenzo Serrano, who accompanied the wineries, evaluated this Trade Mission very positive and looking forward to continue promoting their wines in the American market. DO La Mancha wines are increasing their popularity among American consumers as good value wines, though sales are not so high as in German and British markets, quite mature markets. D.O. 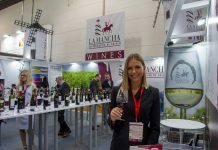 La Mancha USA Road Show: Participating Wineries.